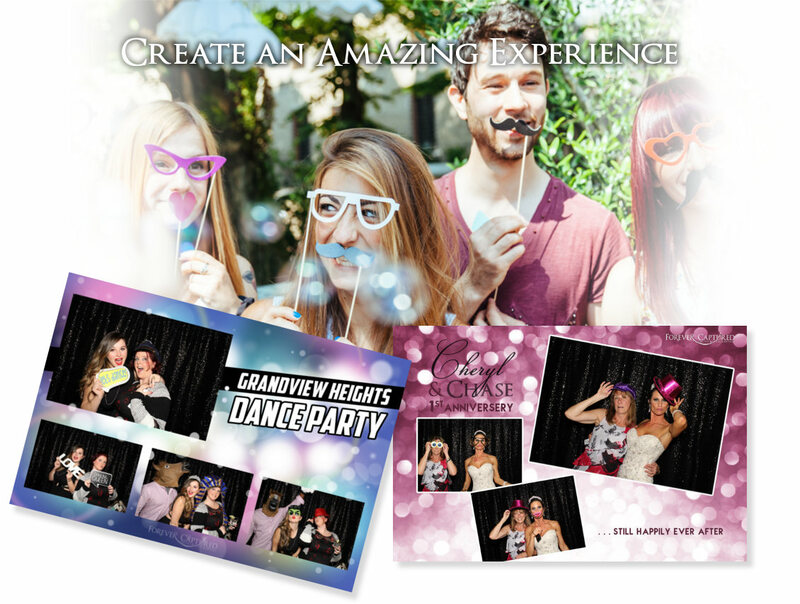 A wedding, party, or event photo booth rental in Vancouver, BC is always such a blast. You can literally bring the fun and excitement of it all to your event and forever capture the laughs, the memories, priceless moments, and hysterical antics of your guests. Your event may only last a day, but we create great experiences and capture delightful memories for both you and your guests that will last for many years to come. They help people mix, mingle, and meet others. Turtles come out of their shells, and shy people who usually avoid the lime light have a great time getting a little goofy creating some hoopla in the booth. Regardless of whether you rent a photo booth in Toronto, Lost Angeles, Chicago, New York, or Vancouver, it can be said that a photo booth does what only the most talented photographers can do – but for a cheaper cost. We pack a whole lot into every rental as part of our standard package. When you rent one of Forever Captured’s photobooths in Vancouver for your event, you get unlimited photos with each individual photo session printing as either two 2×6 inch photo strips or one 4×6 inch print. You can choose a backdrop – even a green screen if you’d like – and we always bring along a ton of fun and interesting props for your guests to choose from and monkey around with in the photo booth. 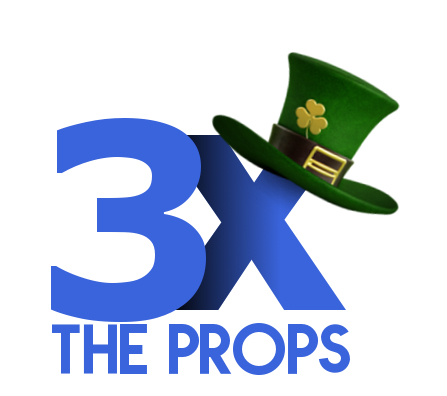 We also enhance your guests’ experience by providing a friendly, professional attendant who will usher your guests through the booth for the entire time it’s open, help them with the props (no you don’t need to buy any, we provide tons of photo booth props), and make sure everyone has a great time at the booth. We rent out our portable booth for events in Vancouver, BC and any other location in the Lower Mainland including Surrey and Richmond, BC. We take care of delivering it, setting it up, running it, and packing it away. You do nothing but smile for your picture and have a great time. 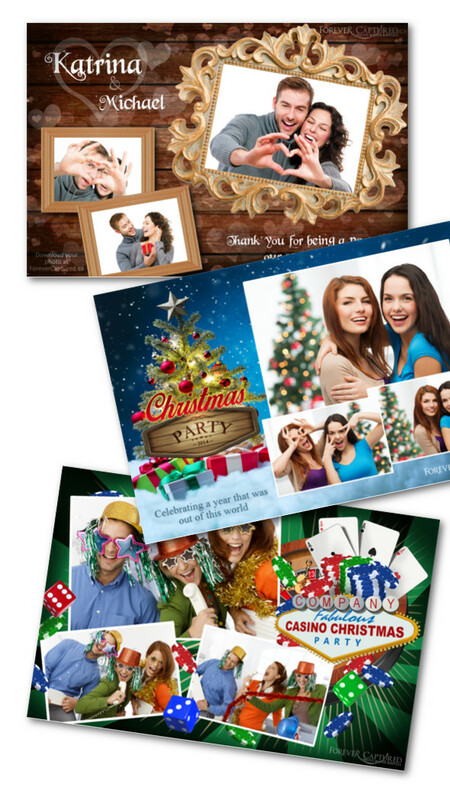 Video photo booth: no additional cost. So if you are looking for something fun and exciting that will bring your guests together and given them something to do and talk about, a photobooth rental for your event, party, or wedding in Vancouver, BC is the way to go. Forever Captured Photo Booth Rentals can help you create an amazing experience that your guests will love and remember for years to come. Contact us today, and we can begin talking about what you have in mind for your special occasion. Contact us at info@forevercaptured.ca or at 778-899-5685.